Get into gear for the weekend by riding in the Bike Parade! Grab your townie bike and join us for this most famous of CB traditions: a slow-moving, ever-winding, fun-filled, bike parade through the streets and alleys of CB (complete with a secret stop!). 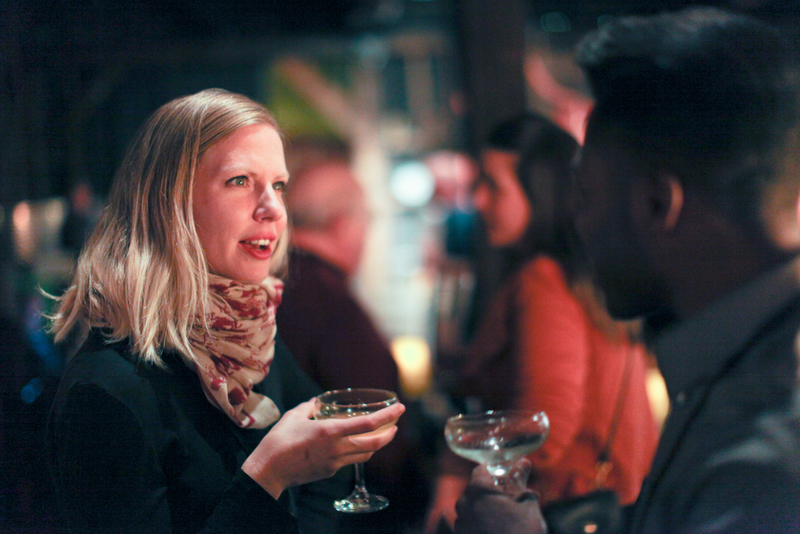 Mingle with other festival-goers and filmmakers...all before the evening’s Opening Night Films! Bring your bike to the fest or you can rent one at Big Al's Bicycle Heaven. Everyone is welcome. Free event. Discussion, drinks, and an opportunity to rub shoulders with some seriously cool creatives- are you in? Everyone is welcome. Free for Filmmakers and Passholders or $10 at the door. Includes a free drink ticket. Please check the printed program for topic and guest details. Everyone is welcome. Free event with complimentary Mountain Maid Coffee. Celebrate the award-winning films and directors at this illuminative event. Some of our most memorable moments have happened at this celebration of talent. Plus, make sure you catch these films during the last showings on Sunday. Filmmakers, Sponsors, and 4-Day Passholders are invited to join us for our seriously swanky Red Carpet Party. Don your finest threads, enjoy artisan cocktails, and mingle with filmmakers at this famous, award-winning distillery. Food generously provided by The Heather Woodward Team. Event is for Passholders only (4-Day, Sponsor, Filmmaker) - tickets not available for purchase. You can purchase your pass HERE. Come celebrate with the friends you’ve made this weekend as we wind down at the end of another great festival! And be sure to try one of The Dogwood's delectable creations at a discounted festival rate. Everyone is welcome. Cash bar. Lots of fun. *Please check back as event details can be subject to change.